Preparing for this week’s expected heavy rains and wind, I went to the roof of the observatory to clean out the rain gutters and check the downspouts. Chores done and with the dome open, I made another experiment at solar imaging through the big vintage Cooley Telescope. I found I could focus on the Sun (through a safe solar filter) and, with a Canon DSLR camera at the telescope’s prime focus, recorded a few one-shot images at ISO 400 and 1/500 second. 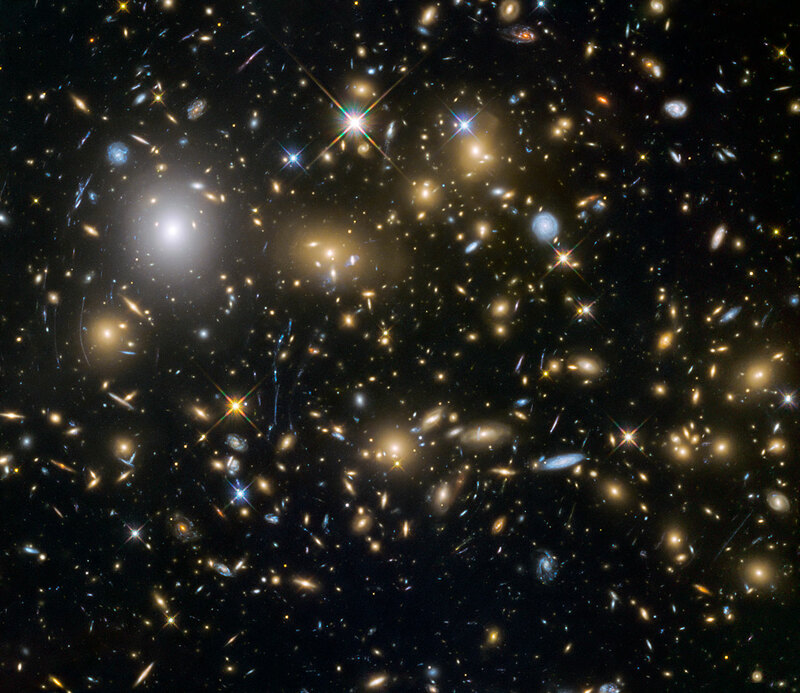 The telescope is a 9-inch refractor with a focal length of 3,327mm. The results appear better than last time but show the apparent effect of atmospheric turbulence: that’s my story and I’m sticking with it! 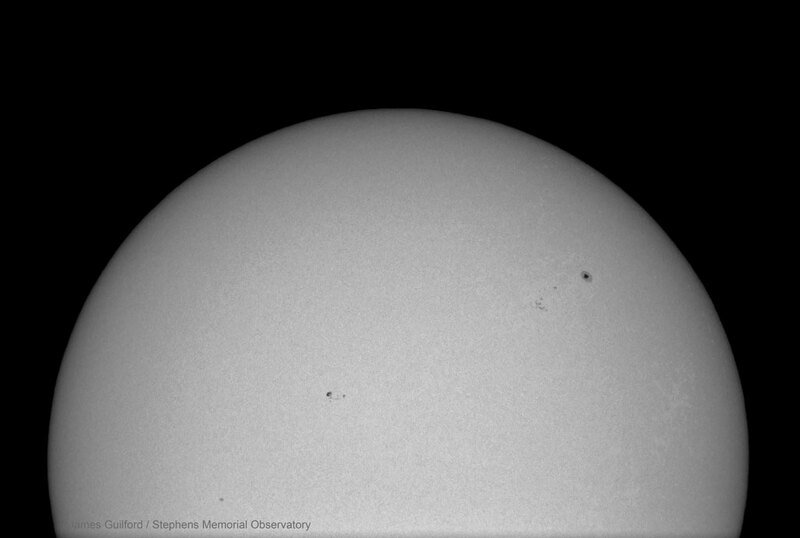 A few sunspots were visible and details of Sol’s roiling atmosphere show up. The photographic technique is the simplest we can use; more sophisticated processes are employed these days to achieve best results. Still, proof of concept is a good thing and getting the image focused is a critical step. I think next time we may try a dimmer subject. NASA scientists are tracking the upcoming Halloween flyby of asteroid 2015 TB145 with several optical observatories and the radar capabilities of the agency’s Deep Space Network at Goldstone, California. 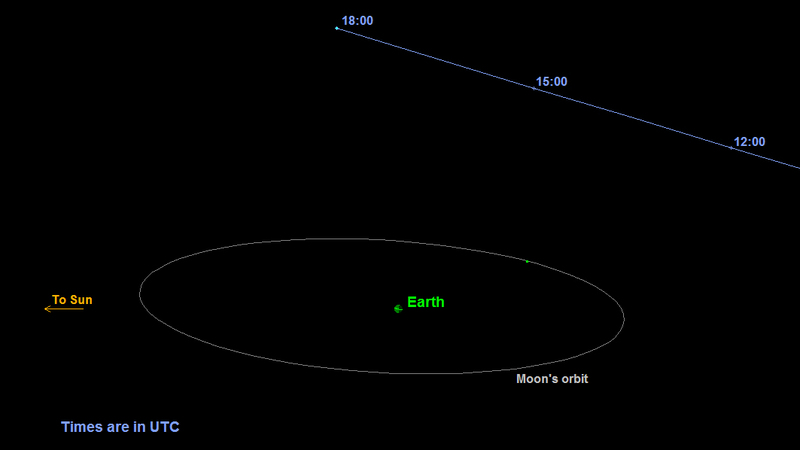 The asteroid will fly past Earth at a safe distance slightly farther than the moon’s orbit on Oct. 31 at 1:05 PM EDT. Scientists are treating the flyby of the estimated 1,300-foot-wide asteroid as a science target of opportunity, allowing instruments on “spacecraft Earth” to scan it during the close pass. Asteroid 2015 TB145 was discovered on Oct. 10, 2015, by the University of Hawaii’s Pan-STARRS-1 (Panoramic Survey Telescope and Rapid Response System) on Haleakala, Maui, part of the NASA-funded Near-Earth Object Observation (NEOO) Program. According to the catalog of near-Earth objects (NEOs) kept by the Minor Planet Center, this is the closest currently known approach by an object this large until asteroid 1999 AN10, at about 2,600 feet in size, approaches at about 238,000 miles from Earth in August 2027. The gravitational influence of the asteroid is so small it will have no detectable effect on the moon or anything here on Earth, including our planet’s tides or tectonic plates. The Center for NEO Studies at JPL is a central node for NEO data analysis in NASA’s Near-Earth Object Observation Program and a key group involved with the international collaboration of astronomers and scientists who keep watch on the sky with their telescopes, looking for asteroids that could be a hazard to impact our planet and predicting their paths through space for the foreseeable future. During tracking, scientists will use the 110-foot DSS 13 antenna at Goldstone to bounce radio waves off the asteroid. Radar echoes will in turn be collected by the National Radio Astronomy Observatory’s Green Bank Telescope in Green Bank, West Virginia, and the National Astronomy and Ionosphere Center’s Arecibo Observatory, Puerto Rico. NASA scientists hope to obtain radar images of the asteroid as fine as about seven feet per pixel. This should reveal a wealth of detail about the object’s surface features, shape, dimensions and other physical properties. NASA’s Near-Earth Object Observations Program detects, tracks and characterizes asteroids and comets passing within 30 million miles of Earth using both ground- and space-based telescopes. The NEOO Program, sometimes called “Spaceguard,” discovers these objects, characterizes the physical nature of a subset of them, and predicts their paths to determine if any could be potentially hazardous to our planet. There are no known credible impact threats to date — only the ongoing and harmless in-fall of meteoroids, tiny asteroids that burn up in the atmosphere. Stephens Memorial Observatory of Hiram College will be open to the public on Saturday, October 17, from 8:00 to 10:00 PM. On the observing list for the night are: the Andromeda Galaxy, the Perseus Double Cluster, and possibly other celestial objects.